Hi Lou, Barney has found an old photo of the original school badge. He has posted it on the Rowlinson School group pages on Facebook. Thanks for the update, Stuart. 'Fraid I don't do Facebook so shall continue to use my imagination. Is there a good site for old Rowlies now? There was one that someone started around 2005 I believe, but it seems to have gone inactive. I was there from 1960-1967. I am in contact with one or two friends from those years, but not many more. I heard yesterday that the Rowlinson site is to become a shopping mall/retail outlet. Regret I have no further information/details. Yes it is to become a Shopping Mall. One of the Sheffield newspapers published some pictures of the proposed development. Passing by the site regularly I can see that the playing fields seem to have been bulldozed. To you old pupils:- Do any of you remember a friend of mine, Mr ABB Marshall who was a wood work teacher there? He once told us that he was teaching one pupil who had stuck a wood chisel in the back of his predecessor! Rowlinsonschoolopening.pdfRowlinsonschoolopening.pdfIt's a pity that this thread dried up. I should be delighted to be in contact with some more of my old school friends. I was at Rowlie between 1959 and 1964. I'm still in touch, very occasionally, via FB, with Alan Gronbach (Gurney), and Patrick Shepherd. I did manage to make contact with Bill Antcliffe, via his daughter, a few years ago, but he didn't remember me at all even though we were good friends at school. Peter Rodgers ran the Old Rowlie's web site until about 2005, and we used to email each other until he retired, then contact stopped. Apparently, Ralph Lee lives in Holymoorside in Chesterfield, but I have not been in contact with him since 1966. Barrie Gostelow used to work in the steel research labs in Rotherham. Barrie uses Linkedin occasionally. Kevin McCabe is Chairman of Sheffield United, and we have made contact very occasionally over the years. 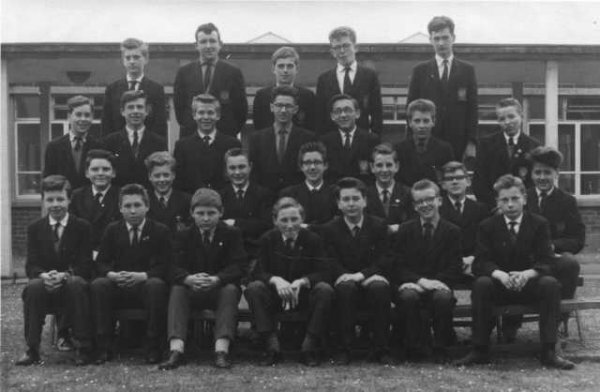 A few "old Rowlies" were in the same scout troop as me:- (1) Tim Shaw, who is a couple of years older than me, became Professor of Architecture at Newcastle University and since retiring he now lives in Gloucestershire (2) Stuart Ackroyd, who was in the year above me, lives in London. 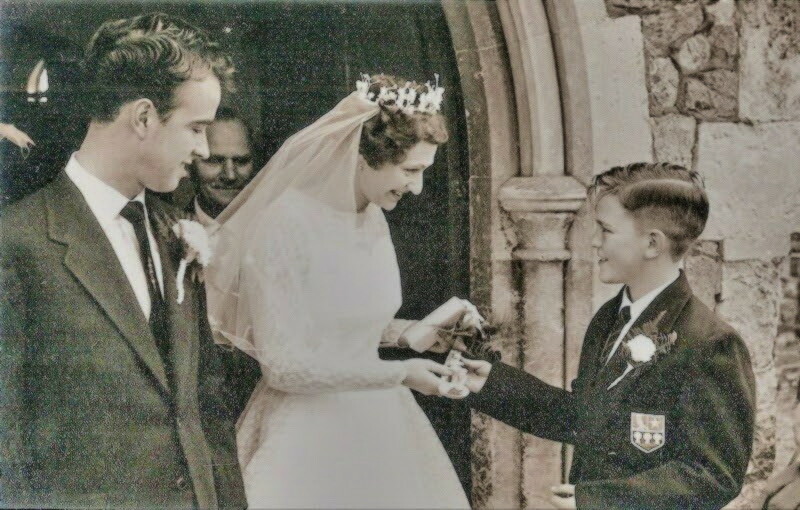 Stuart's sister, Ruth, went out with me for a year or two when we were 12/13 years of age. I am in touch with Ruth, who is a vicar in the Wirral. The attached links and photographs may be of interest to readers. 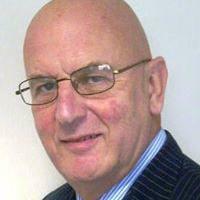 Paul Garlick, in 1974 - 1975 worked as a sales clerk in the sales department at Tyzack Sons and Turner, Little London Road. I was the Personnel Manager there at that time. There were also a couple of other ex-Rowlie's there too - Watkinson, who I have seen from time to time in the Heeley area of Sheffield and another guy who for the life of me I can't remember his name... I have seen him too in the same area of Sheffield, not too long ago. In the 70s Paul Garlick was living in the Charnock Area of Sheffield (Charnock Drive, I think) and about three years ago I met him in the street and he was still in the same house. Mind you I have lived in my family home in Sheffield since 1975. Robert Wood was working for Sheffield Council in the housing department last time I saw him (1980). He denied having been at school with me, and he said he didn't have the time to talk. I subsequently checked and it was him. I was The Polytechnic Personnel Manager at the Sheffield City Polytechnic at that time and he was listed in the council phone book, so I phoned him. He said he was too busy to talk, although he did remember me by then. Kevin McCabe once beat me up for talking to his girlfriend at a youth club (I didn't even know who she was until after the beating... then I became friends with both Kevin and the girlfriend, Linda Glaves). Anyway, Kevin is now a multi-millionnaire builder and Kevin is a main board director and Co-Chairman of Sheffield United FC. I think Paul Madley died in about 1988. I remember reading that he had died, and when I commented, my colleague at work said that she was his cousin, and that he had indeed been an ex-Rowlie. Paul lived at Darnell and he and Bill Antcliff, who lived at 22 Richmond Park Avenue, Handsworth were big mates. Geoff Torr lives at North Anston, I am told. My mum told me that. She knew the family. I went to junior school with Geoff. Geoff Torr died of a MASSIVE heart attack whilst sleeping in the cab of his lorry in France. His sons became worried when he didn't phone them and they drove all the way to France and discovered Geoff dead in the cab. How stressful for them. Ralph Lee became a teacher. John Brennan (geography teacher...see below) told me he had spoken to Ralph in a petrol station on Abbeydale Road about a year before I last spoke to John (1980). John was living at Beauchief. One of the old Rowlies from 1965 - 71 works in the Sports Centre at the Norton College - Mick Bunting. He became a teacher at the school. Mick became a supervisor in the Graves sports centre. In 1980, I was at the Poly as I said elsewhere on this site, and Pop Otley, John Brennan, Spike Godfrey and Percy Snowden were lecturers at the Totley site of the Poly. As the Poly was making a number of redundancies I had to interview them. At the end of the process they all decided to take early retirement, although I was amazed how relatively young they were. Mick Bunting told me subsequently, that Percy Snowden had died of a heart attack. Which other teachers can you remember...... Bumble Simpson (woodwork), Rowley (music), Holy Joe Hay, Rutherford (Maths), oh my god I can't remember. Etchells (english). Straw Balls, I mean Mr Haycock (PE), and then who was the other PE teacher who lived at Coal Aston? The English teacher we had as a form teacher also lived at Coal Aston. 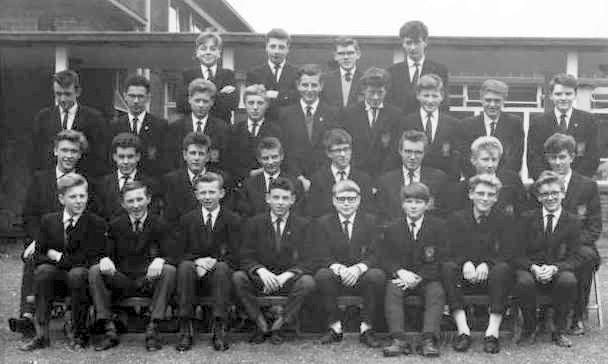 I was at Rowlinson from 1960 to 1967 in Chantrey. I have all the Compass magazines for the years I was there. Certainly, Rowlinson was a great school that had a very significant effect on my life. What marked it was the ability to do both academic and practical subjects. While I ended up being a teacher of chemistry at an American University, I have been forever grateful for the practical experience I had in woodwork, metalwork, technical drawing, art, all of which have helped me no end in my professional career and private life. The teachers were all excellent in my recollection, and many of them have been mentioned by others above. I still keep strong contact with one of my contemporaries, Steve Tighe, who ended up in Vancouver, and have come across others over the years. Sadly a couple of my friends from those days are now passed on. I remember I started a model railway club while I was in the sixth form, and gathered a large number of younger boys around me to build a layout. I think we built the baseboards, but I have no idea what happened after I left. I enjoyed and learned a great deal by singing in the school choir, cross-country running, photography, and a trip to Belgium. Of all my classes, I remember Physics being amongst the best taught, with careful demonstrations by the teacher of all the experiments that we were to do. Those demonstrations helped considerably in our understanding of the experiments before we actually did them. There were girls at Rowlinson who transferred from Carfield in 1953, I remember standing along the drive,when Princess Margaret's car raced by. My form teacher was a Mr Barnes. My name is Eunice, there were a couple of Margarets, a Maureen and a couple of Janet's, I cannot remember surnames. Didn't anyone ever go to that school? I was there in the late Fifties early Sixties and it was a really good school. Can't imagine why I have never seen it mentioned under the schools topic.. I was at Rowlison from 1958-1963. To my eternal shame I have only just returned to this topic - probably far too late to be relevant to the previous posts now. I was also in Osborn House. I left in 1965. I remember Spike quite well although he never taught me - lucky for him as that would have been a trial for sure. I also remember John Brennan - once sent me for the cane as he accused me of cheating in a test - for once I wasn't so was particularly aggrieved. The was Mr Gomm - Chemistry - a Rowlinson old boy - 'Connie' Stephens who I think taught chemistry too - maybe after Mr Gomm had left. Yak would have had troubles trying to teach me maths for sure no matter how proficient he was. My favourite subjects were English and French. In later years our English teacher was Bob Etchells who also oversaw the school cricket team. I was lucky enough to play in it in my final year. I did not enjoy my shool years very much at all. I struggled academically (one measly O level) and truly believe I didn't develop the capacity to learn until I had left. Nevertheless of course it played a big part in my upbringing and despite my general alck of enjoyment there were many friends and times etc I remember fondly. I know Mr Marshall who I understand was a woodwork teacher at Rowlinson. He told me that that one of the pupils had stabbed his predecessor with a wood chisel!